The conference about "Quality Lighting. 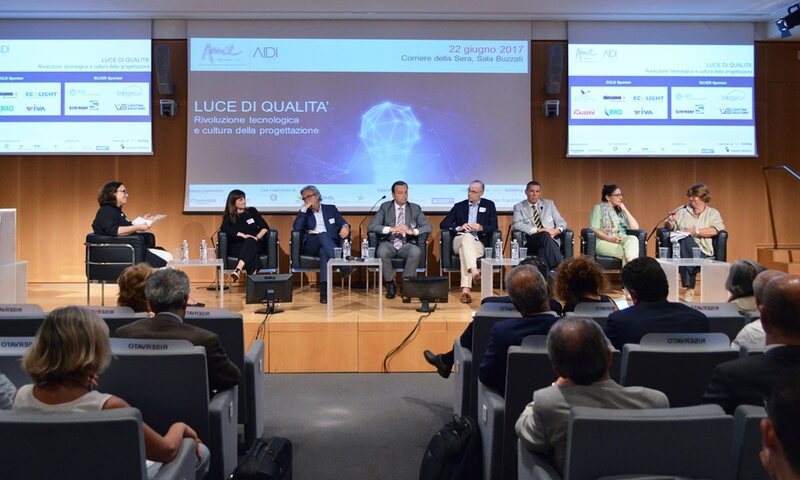 Technological Revolution and Design Culture" was hosted at the prestigious headquarters of the newspaper Corriere della Sera in Milan, on the 22nd of June 2017. The meeting was organized by ASSIL (National Lighting Manufacturers Association) and AIDI (Italian Lighting Association) with the support of Messe Frankfurt Italy and the participation of the Ministry of the Environment and the Protection of the Land and Sea, ​​the Ministry of Cultural Heritage and Activities and Tourism, the University of Naples Federico II, ENEA and important representatives of the design industry. This conference allowed to illustrate the state of the art of technological development, project opportunities and future scenarios for the lighting industry. Energy saving, reduction of light pollution, cultural heritage enhancement, security and well-being of people – these were the main topics of this first public meeting organized by ASSIL and AIDI collaborating together in a wider strategic partnership, enshrined in a Memorandum of Understanding, aiming to promote the development and the support of an industry, of a quality market, and of independent designers. The speeches of this authoritative parterre were introduced by Massimiliano Guzzini and and Margherita Süss representing respectively ASSIL and AIDI, together with Massimo Fracaro, Manager of the Economy section of the Corriere della Sera, and Donald Wich, CEO of Messe Frankfurt, and was coordinated by the director of ABITARE, Silvia Botti. Riccardo Rifici, Director for the MATTM Environmental Certification Section, Antonella Ranaldi, Superintendence of Archaeology, Fine Arts and Landscape for the Metropolitan City of Milan, Laura Bellia, Professor at the University of Naples, and Nicoletta Gozo, Researcher at ENEA and Project Manager of Lumière, discussed how to design a quality lighting system in terms of CAMs for public lighting contracts, illuminating architecture for works of art and monuments, effects of LED light on the circadian rhythms and new frontiers of public lighting inspired by Lumière’s project. Referring to the latter misinformation campaign conducted by some media on LED sources in public lighting, Massimiliano Guzzini raised the attention on the distorted message regarding LED technology, which is unnecessarily warning public opinion. "The clamor caused by media on the subject of LEDs and light pollution is a concrete demonstration of how urgent it is to light up the light, and how important it is to share trustworthy information on the matter," said the President of ASSIL. 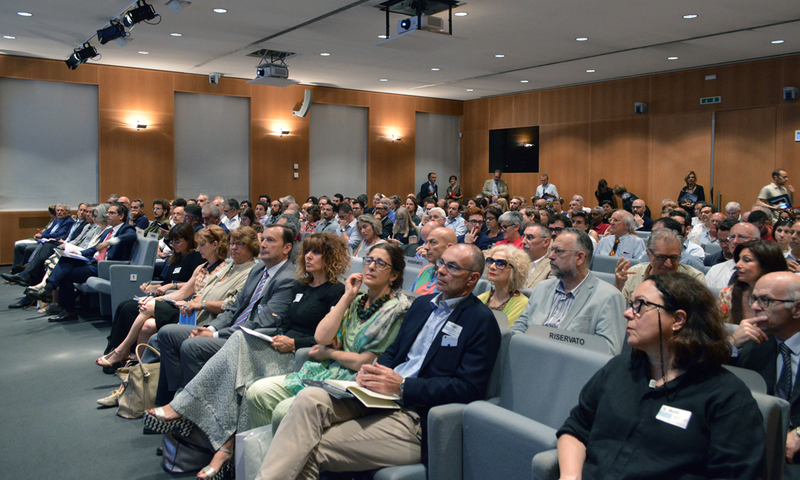 The message, shared by all the present guests, was later recalled by the architect Antonella Ranaldi, who took the perceptual restoration of The Last Supper, illuminated by iGuzzini, as an example of good practice in preserving and enhancing a masterpiece of Renaissance Art declared UNESCO World Heritage. 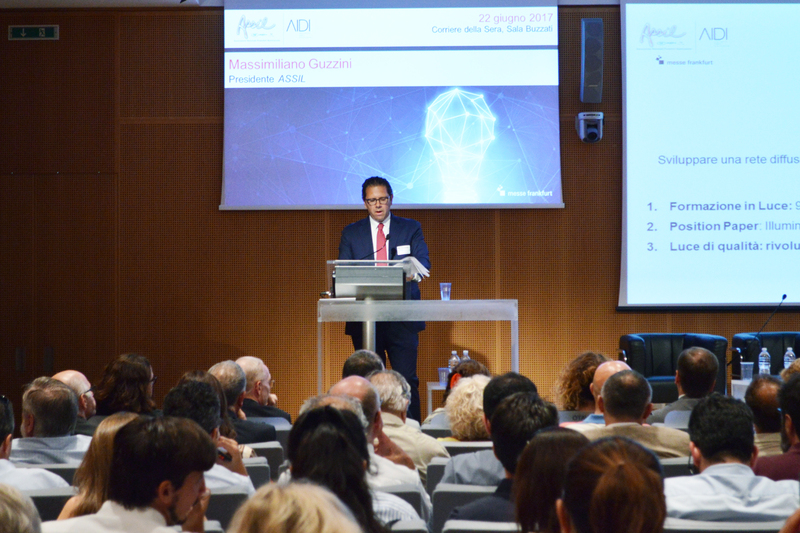 Massimo Fracaro also noted the necessity to gain a deeper understanding of the consequences of the cultural revolution produced by the introduction of LED in the lighting sector in terms of cultural values, impacts and opportunities. According to the protagonists of the round table Roberto Barbieri, Vice President of ASSIL, Chiara Aghemo, President of AIDI Piedmont, Liguria and Valle d'Aosta, Gianpaolo Roscio, Technical Services Manager of IREN, architects Giulio Ceppi and Alfonso Femia and the lighting designers, Alessandra Reggiani and Susanna Antico, if the research for a quality light implies the quality of the whole chain, the reflection on the theme can only lead to a paradigm shift in the design process which needs to consider light at the same level of importance of the other materials used in the construction.